Football is one of the most popular sports for bettors, so it should come as no surprise that there are numerous sources of “helpful” information out there offering various tips and tricks that promise to maximize your winnings when betting on NFL games. The problem is that much of the advice that is currently floating around on the internet has a tendency to exaggerate the benefits of these tips while making almost no mention whatsoever of the risks. Of course, those with a keen intuition should already be well aware that there are always risks involved in wagering on any sport. After all, if this were not the case, half of America would be rich by now. Everyone who came across the wealth of supposedly flawless betting tips out there would be exploiting those tips on a daily basis until the well of profits had completely dried up. Obviously, at least some of the advice being given on the internet and through other sources is more than a little questionable. Below are five major pitfalls to beware in order to avoid falling prey to the false beliefs propounded by various websites and betting experts. Some of these pitfalls concern specific NFL betting tips, while others concern sources of information that promise to deliver flawless betting strategies. Either way, you will want to read this list carefully before the draft and before the regular season starts if you don’t want to fall into several traps that have gotten the best of other bettors in the past. This is not the most common pitfall in the world, but it is still worthy of some discussion. There are some people who seem to believe that the NFL operates in the same fashion as amateur boxing in old-school mafia movies. In other words, they think that some mysterious organization (possibly the NFL itself) has fixed every game and that there might be some way of figuring out who the preordained winner is supposed to be. If this doesn’t sound insane to you right off the bat, then you should have some concerns for yourself. Think of it this way. 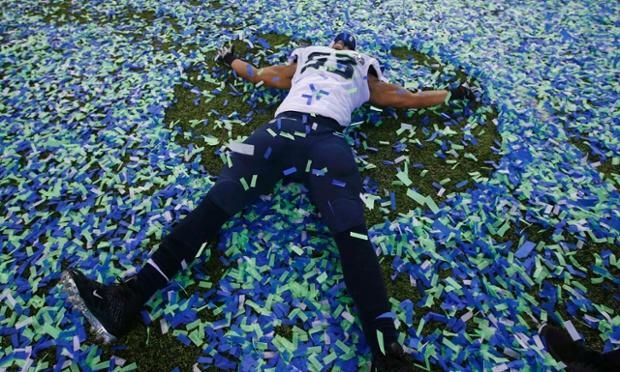 After the last Super Bowl, there were rumors that the controversial final play called by the Seattle Seahawks was made in order to keep Marshawn Lynch from winning MVP if the Seahawks had taken home the trophy. This oddball conspiracy theory somehow managed to gain so much traction that Lynch himself even seemed to believe it during certain post-game interviews. The problem is that to believe in this theory, one must sign onto the idea that Seattle would be willing to risk losing the Super Bowl for no other reason than to essentially flip the bird at one of their star players. Therein lies the problem with the belief that the NFL, or anyone for that matter, is somehow fixing every game. Teams and individual players would have to be deeply involved in the scandal, and they would all have to be willing to risk fame and glory for essentially no good reason. Think about how much these teams are worth, and how much these players make in terms of salary. We’re talking about numbers in the millions here. How much money do you think the NFL or any other organization would have to be throwing at just about everyone involved in the sport of football if they were to pull off a scandal so massive? And how much do you think they’d have to make off of sports bets in order to make up the difference and still make a profit? It’s beyond unreasonable. In addition, think of how much press such a scandal would receive. Anyone whose involvement was discovered would be absolutely disgraced. Just look at the fate of a single NBA ref, Tim Donaghy, who was discovered to have been betting on games that he was refereeing. He would up being sentenced to fifteen months of prison, and his name is mud in the sport of basketball. 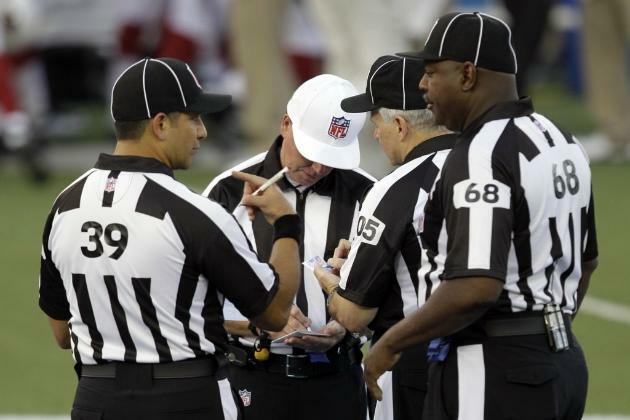 It’s possible that another ref might try the same thing in the NFL, but it won’t go unnoticed for long. Donaghy was only believed to have made bets on two seasons, and he only admitted to selling information to sportsbooks on two specific occasions (although it’s naturally possible that there were more). He’s one of the more notable names in fixing sports wagers, and he didn’t get away with it for very long. Also, bear in mind that bookmakers aren’t stupid. They know that their industry is potentially vulnerable to the types of people who are looking for a quick buck. They also know that there are people like Donaghy who would try to trade insider information for cash if they thought they could get away with it. That’s why they have a system in place to deter these kinds of actions. 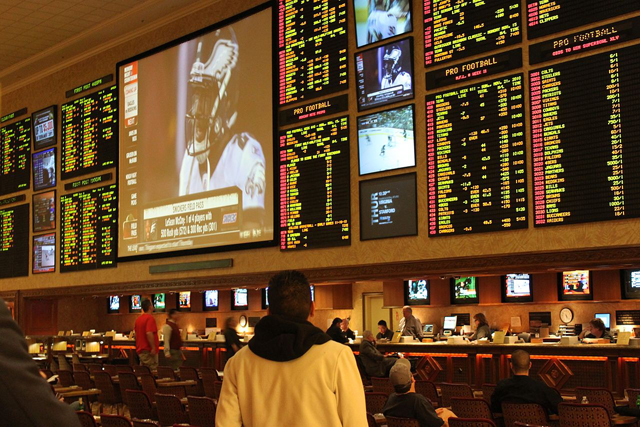 If a sportsbook were to start receiving a questionable number of bets for one specific team, they would immediately take the game off the board. They would have to. If they didn’t, and if any wrongdoing were discovered later on, the possible culpability of the bookmakers would be called into question. And they wouldn’t turn much of a profit with that kind of reputation. Parlays can be great when they’re played right. If you manage to correctly guess the winners on two or three games without any of those games resulting in a push on the point spread, you stand to take home some decent winnings for your efforts. And if you manage to pull off an even bigger parlay of six or seven teams, you’ll be laughing all the way to the bank. So what’s the problem? Well, first of all, the odds are against you. You may have fifty-fifty odds of betting right on a single game, but three in a row? That suddenly becomes a pretty big risk. There are eight different ways a series of three games could play out, and only one of them results in you taking home any winnings. And that’s just factoring in wins and losses without even accounting for the point spread. The bigger the parlay, the harder it is to rest assured that you’ve got a win in the bag. Couple this with the fact that the parlays are often set with payouts that aren’t worth the actual odds of winning, and it begins to look like the odds are almost intentionally stacked against the bettor from the get-go. Of course, you might be thinking that the payout for winning a parlay is still worth the risk of losing one every now and then, even if the house should arguably be paying a little bit more. And that might sound like a good argument, if it weren’t for the fact that most experts don’t expect you to win too often even when betting individual games. Poke around a bit online to see what most betting experts think it takes to be a successful sports bettor. Many of them will throw numbers at you, such as the percentage of games that you must win in order to make a reasonable profit from your endeavors. And no matter how hard you look, rarely will you find a number more than five points over fifty percent. Then again, maybe you still aren’t convinced. After all, there are a number of professional sports bettors out there, people who make their living almost exclusively by knowing how to bet on NFL games. It would be very surprising if none of these bettors made a profit on significantly more than fifty percent of their games. But just because a few people out there have managed to do it does not change the fact that it is exceedingly rare. And even those rare few are not likely making the bulk of their winnings through parlays. If you feel truly confident, and if you do not have too terribly much to lose, then the occasional parlay every now and then will not kill you. They can be fun to try out, and managing to win one is incredibly rewarding. But treating them as an exclusive betting strategy is just plain foolish. If you assume that most successful bettors are probably getting between fifty and sixty percent of their bets right, then you are going to want to bet on each game individually rather than combining them together whenever you get the chance. Otherwise, the risk involved is just way too high. If you’ve never heard the term “chalk player” before, then it’s about time you became familiar with it. A chalk player is someone who never bets on the underdog. They figure that the favored team is going to win every time (or at the very least, a majority of the time), and so they bet exclusively on those teams. It makes sense to anyone with the slightest level of intuition, because the team in question was not given favored odds for no reason. Perhaps they have an offensive style that the underdog does not play well against, or maybe their coach and players have more combined experience than anyone on the opposing team. Either way, the odds are greatly in their favor, and the chalk player is not about to bet against that. The problem here is that the favored team might easily win the game without coming even close to covering the spread. This may shock you, but the point spread was not created to give the bettor an edge over the house. While many jump straight to the conclusion that the point spread is the number of points by which the sportsbook in question predicts the favored team to win, this is usually not the case. In fact, the point spread is usually devised for the sole purpose of throwing bettors off of their game. That does not mean the favored team never covers the spread; it happens relatively often. But it’s usually a crapshoot, and you cannot bank on what outcome or the other. When the point spread seems too high for the teams that are playing against one another, then you might want to go ahead and bet on the underdog. It is easier for this team to beat the spread, because they can beat it by either winning or by losing while playing a close game, whereas the favored team must not only win but also take a strong lead. If the bookmakers know that a large number of chalk players and other bettors are going to be placing their wagers on one team in particular, then they will likely set the point spread a little higher than the actual lead they expect the winner to take in the game. Otherwise, they’re going to lose quite a bit of money on all those players who are wagering their dollars on the objectively better team. It really isn’t too surprising that so many bettors wind up becoming prey to this particular pitfall. Again, it seems intuitive. The better of two teams is likely to win, therefore they should be an easy bet. Even bettors who are reasonable enough to realize that they will not bet correctly every time will still assume that they can easily make back their losses by continuing to bet the favored teams on their next few games. They never bother to handicap the games and check the actual player stats. They don’t do any sort of research, because they think that they have it all figured out. However, as we said in the introduction to this post, the sports betting industry would crumble if they made it so easy for bettors to take advantage of them in this fashion. In order to place a solid bet, you are going to need to do your research. You need to know the stats of the teams and their players, and you need to know how each team’s offensive and defensive styles will fare against their opponents. Even then, you cannot be certain of a win every time. You must simply do your best. But trying to take the easy way out and devising some full-proof method to ensure constant winnings? Even if such a thing were possible, you can bet dollars to donuts that it wouldn’t be made possible by reading the numbers created by the very people who stand to profit off of your loss. If you’re like some people, you read the last paragraph on the above entry and absorbed the bit about doing your research before turning right back around and continuing your search for a full-proof betting strategy. And what could be more full-proof than relying on the expertise of sportscasters who are paid to make the very predictions that you are looking for? ESPN, CBS, Fox, and numerous other news outlets have their own teams of analysts who are paid to know the stats of every NFL team like the back of their hand. Especially in the case of ESPN, one might be forgiven for assuming that their predictions are correct well over fifty percent of the time. And maybe they are. No matter which sportscaster you’re watching on television or which sports writer you’re reading online, you can rest assured that their predictions are backed by a knowledgeable staff who is capable of assessing the ins and outs of every team while looking for strengths and weaknesses that might decide the game’s final outcome. While their analysts do not always agree on the outcome (and do not always make the right prediction even when they do agree), it seems reasonable to assume that you might win a fair majority of your bets by siding with their predictions. Of course, this assumption is flawed in the exact same manner as the assumption that you can always profit off of betting on the favored team. In other words, you are still failing to account for the point spread. Unless the analysts have handicapped a game meticulously enough to provide predictions on specific stats, the most they will be able to predict is who might emerge from the game with a victory under their belt. Keep in mind that their job is to entertain and inform sports fans in general, not just those with stakes in the game. Then again, you might be able to profit off of their predictions if you just play the money line. But when betting the NFL, the money line is only particularly profitable if you place a winning bet on the underdog. Favored teams usually net proportionally small winnings, especially because it is so much easier to win a money line bet on a favored team than it is to win by betting on the point spread. A favored team might be worth -110 odds on the spread, yet -200 odds on the money line. On some games, these odds will be significantly less profitable. You’d have to put down a lot of money to go home with enough winnings to make the bet worth your while, meaning that the only true way to profit off of predictions made by media experts is to put yourself at much greater risk of blowing a hole in your bank account if you place a losing wager. 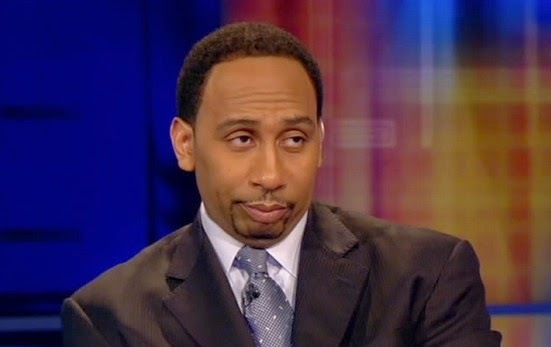 None of this is meant to discredit sportscasters or sports writers by any means. Many of them perform their jobs excellently, and they deserve to be commended for their efforts. We are simply pointing out that putting money in your pockets is not an actual part of their job descriptions. And unless you pay careful attention to any mentions of the methodology they have used to make their predictions, you technically don’t even know what their job descriptions are. Some of them make their predictions based primarily on statistics, while others factor in attributes such as a team’s motivations for winning. Some networks may even hire writers or television personalities who are known to be opinionated, and may simply call the game based on what they would like to see happen. If you were to place a bet based on the predictions of one of these personalities, you could find yourself in hot water when your team goes under. We’ve already made numerous mentions of the fact that betting is an industry, yet there are some bettors who will still be inclined to forget it from time to time. They will continue to look for ways to exploit the sportsbooks, as if this industry hasn’t seen just about every trick in existence at one point or another. They will continue to assume that there is some simple betting strategy that they have yet to discover, one that will promise them winnings on almost every game without any risk or room for error. And they will continue to suffer for it, because this simply is not how the industry runs itself. These types of bettors almost deserve to be applauded for their optimism, although their naivety is more than slightly regrettable. The notion that you can just sit around and fill your pockets without doing any research whatsoever is laughably hopeful, not to mention relatively asinine. As we said above, there are sports news outlets with entire teams of researcher and analysts whose only job is to predict the winner of a game without even factoring in the point spread, and they still get it wrong from time to time. Do you really think that you can top that many experts, let alone without rolling up your sleeves and crunching some numbers? There is a great wealth of information that goes into handicapping a game. You have to assess injury reports, past performances in home or road games, depth charts, individual player stats, offensive styles, defensive styles, and much, much more. Bookmakers are usually going to be looking at these types of data before setting point spreads and money lines that are meant explicitly to trick bettors into making the wrong decisions. If you think you can beat them every time without putting in any of this work yourself, then you are living in a fantasy land. In addition to all of the data that goes into handicapping the game, don’t forget that there’s quite a bit of information to be processed before even making your wager. Money lines, point spreads, over/under totals…these numbers change with relative frequency. If you want to make a decent bet, then you need to pay attention to the direction in which these numbers are moving, and you have to be able to guess what these shifts might mean for the game and for your wager. In short, there is a lot of work that goes into making a bet, and even then you cannot be certain that you will win. The sports betting industry has been around for quite some time, and you need to respect that if you are going to participate in it. Betting the NFL is not some trivial pursuit that was designed to line your piggy bank with solid gold. It would be nice if it were, but the industry also would have imploded a million times over by now if that were the case. Betting can be a great way to acquire some extra dough during football season, but do not let the dollar signs in your eyes allow you to get a big head or to become lazy. If you really want to bet like a pro, then you are going to have to work at it. At the end of the day, laziness and the desire to make an easy buck are the two qualities that are most likely to keep you landing in each of the pitfalls listed above.